Check this out – what a great way to support our local business’ that have been affected by this long construction project! Three social media mavens of Richmond have joined forces to support local businesses impacted by GRTC Pulse construction on West Broad Street. Faith Wilkerson of Unlocking RVA, Samantha Kanipe of The Richmond Experience and Sarah Choi, organizer of monthly #igersrva events have announced “Pulse The Broad,” a Broad Street crawl and dinner event to take place on Saturday, March, 17, 2018th from 2:00 to 5:00 PM. The idea sparked when Choi drove from downtown to Scott’s Addition on Broad street recently. “I did not realize how bad the construction had gotten, then became worried about numerous friends who own businesses on or near Broad street,” she said in a news release. An organizer of monthly #igersrva (short for Instagrammers of Richmond) gatherings, she started planning her next event in the area. Then the idea grew quickly. “I only [had] 160 #igersrva email addresses and a little over 4,000 followers on Instagram. 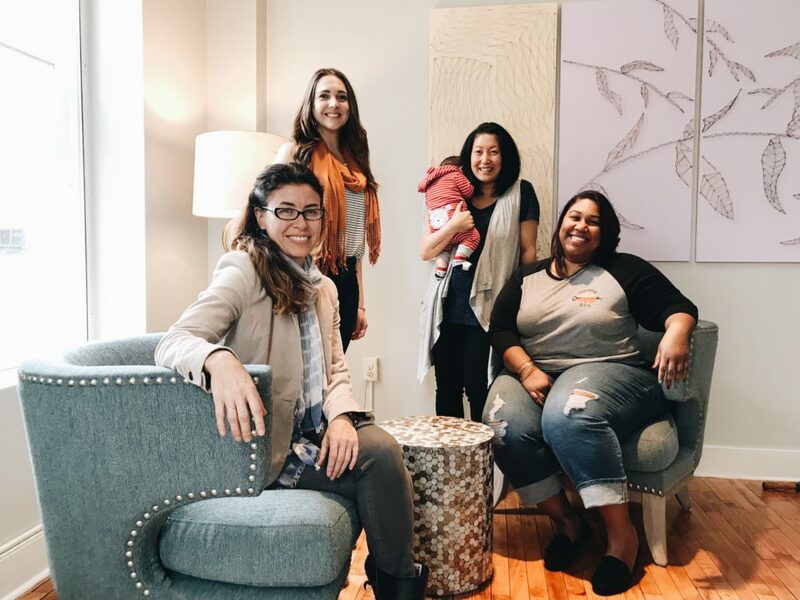 I wanted to make a greater impact and knew if I had the right partners, I could pull it off.” Choi reached out to Samantha Kanipe of The Richmond Experience and Faith Wilkerson of UnlockingRVA to partner on a larger event. “Not only Sam and Faith have large followings, their main focus and passion is to showcase meaningful Richmond experiences. People look to them for ideas on what to do,” she continued. Kanipe and Wilkerson immediately got on board. “We care about Richmond and the livelihood of local businesses. They are suffering as a result of this project and really need our support. There was no hesitation when Sarah came to us with this idea,” said Kanipe. “We jumped at the chance to be a part of this initiative. This an issue we have heard from many business owners and we are fully committed to alleviating some of the pressure as much as we can,” said Wilkerson, who came up with the hashtag #PULSETHEBROAD. Choi then asked help from Angela Prado of Boomhitch, a branding agency whose office is located on Broad street in Jackson Ward. “Faith’s hashtag was so simple and to the point that I thought easily recognizable look and feel would be helpful in getting the idea spread,” Choi said. “We are encouraging Richmonders to Lyft, Uber, bike and walk into town on March 17th and show support for the businesses on Broad Street,” continued Choi. At 5:00 PM, the organizers will join those who want to have dinner with them at Max’s On Broad, Comfort and The Savory Grain.